My memories of the Dave Lee Show are from the last few years the show was on television. I recalled that the show would end with a recording of a song called “So Long, It’s Been Good To Know You,” but I was never able to find more information about it. No one seemed to recall the tune when I asked about it. It turns out the song was originally recorded by Woody Guthrie in 1935 as “So Long It’s Been Good To Know Yuh.” In the fifties, the tune was popularized by Pete Segar and the Weavers. 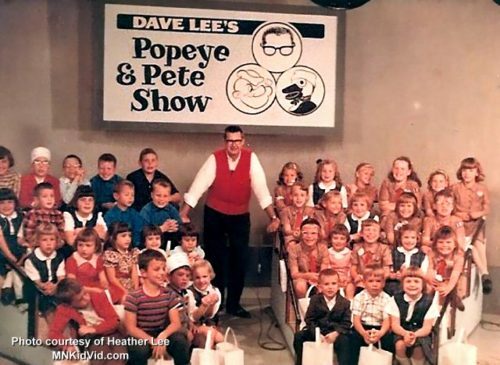 As I recalled it, the version used on The Dave Lee Show was sung by a chorus of children. In searching YouTube for different versions of the song I came across a recording by the Do-Re-Mi Children’s Chorus, from an album called This Land Is Your Land. The album was produced by folk artist Tom Glazer, best know for his novelty song “On Top Of Spaghetti.” Glazer produced a number of records for children that featured folk songs by Woody Guthrie, The Weavers, and many other. It is likely that this version of the song was used on The Dave Lee Show. I shared this on the Lunch With Casey Facebook page and several people confirmed they recalled this recording.